A Must See custom built home located on a nice street in Monrovia, close to Bradbury City. 5 bedrooms 5 bathrooms 3,986 Sq Ft main house plus 660 Sq ft Guest house, a total of 4646 Sq Ft. North facing Mediterranean home with an elegant court yard front entrance. Living room with stone fireplace and large arched windows. Formal dining room with chandelier. Hardwood floor, custom shutters and blinds throughout the house. Gourmet kitchen with walk-in pantry, refrigerator, center island, breakfast counter, 6 burner stoves, oven and dishwasher. Ceiling fans in all bedrooms. Salt water pool, putting green, bbq patio, manicured lawn and many more. 3 Bedrooms 2.5 Bathrooms, Living Space: 1,600 Sq Ft. Kitchen with french door open to private patio. French Chateau style townhouse. Total 16 units in the community. Nine foot ceilings. Hardwood floor throughout. Master suite with elegant bathrom feature white Carrera marble, travertine flooring and large tub. Double paned windows throughout the unit. Large multipurpose bonus room in the garage. Price include refrigerator, Dryer and Washer. FOR SALE! San Ramon, Northern California Beautiful Residential 65 ACRES for Sale! Please contact Suzie for detail information. Two residential vacant lots in Kinneloa Mesa, Pasadena. 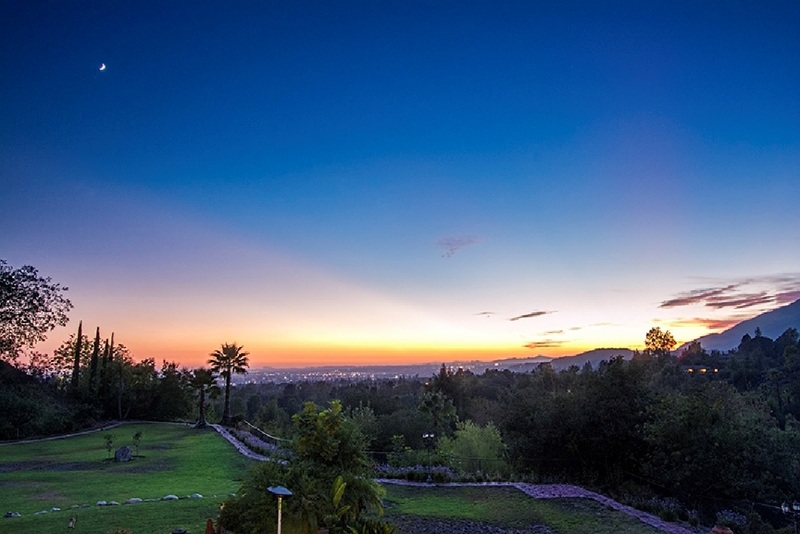 Parcel boasts panoramic views, mountain view, and Los Angeles city view. Build your dream estate homes! SOLD 10733 S. Grand Ave. Temple City Awsome gorgeous Temple City 2 story single family house with 4 bedrooms (master suite) and 2.5 bathrooms. Beautiful remodeled bathrooms. Brand new flooring and new paint in living room, dining area, all bedrooms, hallway and stairways. Large family room with custom built brick fireplace with cathedral ceiling, sliding doors open to beautiful backyard with patio, swimming and spa, orange tree and persimmon tree. Must see! It won't last! SOLD in 30 Days! 411 W. Seaside Way #1402, Long Beach West Ocean Tower 2 bedrooms and 2 full baths. $150K in upgrades. Spectacular panoramic view of ocean, coastline, city, Queen Mary and mountain. High Floor, full view of the ocean from every room. A perfect place to watch the 4th of July fireworks and the Long Beach Grand Prix. Washer, dryer, refrigerator and all furniture in the unit are included. Luxurious Amenities include concierge, multiple fitness centers, pool, spa area, wine storage rom, club room/lounge areas, sauna, yoga studio, BBQ area, outdoor fireplace, movie room, billiard room and many more. It won't Last. SOLD 630 Old Mill Road, San Marino 91108 Stately English Tudor home with 3 fireplaces and elegant detail throughout. 3 bedrooms 2.5 bathrooms. The home features a large entry with powder room, a step-down living room with fireplace, light and bright kitchen which opens to a spacious family room with fireplace and wet bar. Beautiful backyard with manicured lawn and mature trees. For Lease 1088 S. Marengo #7, Pasadena Mediterranean style town home with private two car garage. Total 11 units town homes in the security gated garden complex community. Beautiful common area courtyard, landscaping, and BBQ area. 3 Bedrooms, 3 bathrooms, one master suite downstairs and two master suites upstairs. Living room with fireplace and dining room kitchen with granite counter top and maple cabinets. Hardwood flooring throughout the condo and carpet in all bedrooms.Bonus room adjacent to the garage. Garage has direct access to unit. Landlord pays for HOA dues including water, trash, and gardener. Tenants pay for gas & electricity. For Sale Hampton Court Hot Buy!!! 730 S. Marengo, 8 New Elegant Condominiums (Only 3 Units Left!) Choose from 2-3 bedroom units ranging from 1,262 sq. ft. up to 1,818 sq. ft. Bright and cheerful open floor plans. Gourmet kitchens feature custom soft closing cabinets; granite counter tops; and stainless steel gas ranges, dishwashers, and refrigerators. Gated entry to private common courtyard and elevator. Just blocks from Fillmore Gold Line Station. Conveniently located near Old Town Pasadena and minutes away from all your everyday favorites like Starbucks, Trader Joe's, Whole Foods, and much more! offering exquisite detail, and superior quality w/ breathtaking city light and mountain view. This majestic estate sits behind a private gate, w/ a long private drive way that leads to a front circular driveway surrounded by sprawling lawns and mature landscaping. Double glass door entryway opens to a dramatic, formal and elegant foyer boasting 22-foot ceilings, hand-painted dome ceiling, sparkling palatial chandelier, fantastic custom crown moldings, exquisite stairways and high tech LED lighting. The mansion offers approximately 16,120 sq. ft. of lavish living space. Amenities include 7 large bedroom suites, w/ the luxurious master suite complemented by an impressive fireplace, 2 showroom walk-in closets, a serene retreat room, a paneled library and French doors that open to a large private balcony. Sumptuous dual master bathroom built w/ attention to every detail. Spacious family room w/wet bar. Chef’s dream kitchen and large center island. Finished basement is an entertainer’s dream w/ a customized home theater, wine tasting room/ cellar, fitness center, billiards area, multipurpose game room w/ mirrors, sauna, steam room and elevator. 2 laundry rooms. Garage accommodates 10 vehicles w/ 2 outdoor car parking spaces. Energy efficient solar panels. Multiple balconies look out to the resort-sized mosaic infinity pool and spa. The beautiful park-like backyard grounds feature a large pool cabana and outdoor fireplace, manicured lawn, terrace, trails and full size lighted tennis court. Bonus 3 bedroom guest house offers approximately 2,204 sq. ft. w/ 3.5 baths, living room, dining area and kitchen. The main house and guest house together offer approximately 18,324 sq. ft. of living space w/ 10 bedroom suites, 10 bathrooms, and 4 powder rooms. 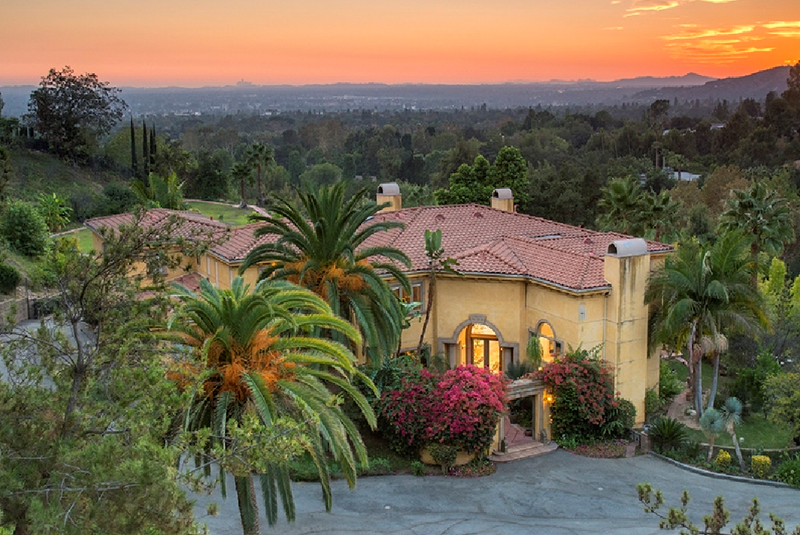 This immaculate estate perfectly complements the Southern California lifestyle. Prime Southeast corner of Garvey Ave. and Garfield Avenue in City of Monterey Park located in the heart of downtown Monterey Park. For Sale! 239 E Pomona Blvd, Monterey Park. – Office/retail and warehouse. Free standing building with private security gate, front and rear entrance. Convenient location, easy access to Pomona Freeway 60. Lot size: 6,499 sq. ft. Building size: 2,900 sq. ft . Property is located on Pomona Blvd adjacent to 60 Pomona Freeway with great exposure to Freeway 60! SOLD! Closed in 21 days escrow! 6735 Yucca St #303, Hollywood District - Modern Hollywood Luxury Condominium with 24-Hr Concierge Services 好萊塢現代豪華公寓出售! This modern luxury condominium with 24-hour concierge services, located in the heart of Hollywood, just a short walk to restaurants, Dolby Theatre center, Chinese Theatre, Metro links, and many more. Designed by the Hollywood award-winning architect Steve Kanner, this 1,300 sq. ft. private end unit condominium home offers a bright and open floor plan. Brand new paint. Two master suites with Hansgroe & Duravit bath fixtures and brand new carpets. Living room with hardwood flooring, fireplace and a sliding door that opens to a private balcony with view of the courtyard and swimming pool. The kitchen sports walnut veneer floating cabinet by Pedini, Caesar-stone counter tops, and European Terrazzo tile. Individual laundry room with stackable dryer and washer. Gymn with sports lounge, flat screens, and barbeque patio. Gated garage with two (2) car parking. SOLD- 60 E Las Flores Ave, Arcadia - Gorgeous Custom Built Arcadia Estate with Quality Craftsmanship! Custom built luxury estate with security gate in Arcadia featuring solar panel system; green energy saving and efficient! 6,771 sq. ft. of living space with total 6 bedrooms including 5 bedroom suites + 1 maid's quarter. built in 2012. Situated on a lot of 15,581 sq. ft. Stunning grand high ceiling foyer, elegant circular wrought iron staircase. Library with custom built in shelves and panels. Large walk in wine cellar with glass window display. Elegant living room with fireplace and French doors. Gourmet kitchen with walk-in pantry, stainless steel Jen-Air appliances, wok kitchen and spacious family room with sliding door open to beautiful backyard with view of immaculate large swimming pool and spa, cabana with built in BBQ, manicured lawn and mature fruit trees. The home theater includes 9 custom made leather reclining seats, Blue-Ray DVD player, subwoofer, built in surround sound, Onkyo receiver, and theater quality foam insulation for soundproofing. Master suite upstairs with spacious retreat, stunning master shower, whirlpool jet tub, dual sinks and large covered balcony and many more amenities! High visibility. Perfect for bank, accounting, legal, or service of professionals. Ground floor with a total space of 2,680 SF. Includes lobby entrance, six executive offices, one conference room, three work stations, one large storage room, and two powder rooms. Plenty of parking space in rear of the building. Wal-Mart, Ross, Home Depot, Panda Express, bus stop and shopping center Direction 210 Freeway, exit at Mountain Avenue going south. Major signalized Northeast Corner of Las Tunas Drive and Rosemead Blvd. High density, high income population Temple City recently completion of the $26 million capital improvements to beautification of Rosemead Blvd. Current Tenants: Restaurants and stores open to public - Famous Kang Ho Dong Baekjeong Korean BBQ 江虎東韓國燒烤, Summer Rolls (vietnamese cuisine), Tea Station Express, Pokelicious, Well-known Taiwanese Dessert - Meet Fresh 仙芋鮮, Sunmerry Bakery 聖瑪莉, Simmer Pot 黃記煌, Ms. Slim 塑身堂, Bistro Na's 那家小館, Korean Luz Hair Salon, Green Zone (organic food) and Shibuyala from Japan. Total four (4) buildings, fountain, 4 elevators and ample parking - ground level and subterranean parking. Great opportunity for developer and builder. Beautiful large flat lot approximate gross 188,178 sq ft per tax assessor with lake front view. 5 contiguous flat parcels with commercial zoning frontage on Lake Shore Drive, Adjacent to North Shore, scenic location. 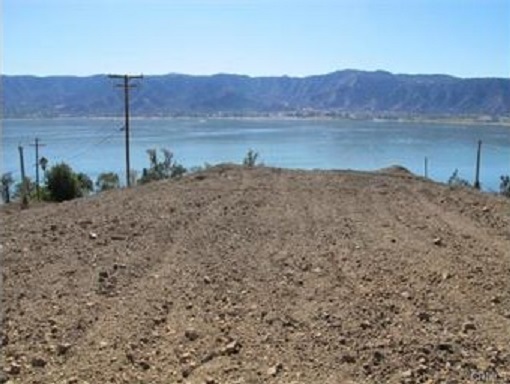 Beautiful lot with panoramic view of Lake Elsinore. Five parcels sold together. Lot size approximately 15,682 sq. ft. Vacant lot, has views of the mountains. Great for building your dream home! All three parcels to be sold together, approximate 25,265 sq. ft.
Five connected parcels sold together; 20,993 sq. ft.
SOLD! Escrow close in 20 days, cash deal. 16 lots zoning R-1 Shrier Dr. Lake Elsinore, CA Great opportunity for Builder and Developer! Rare opportunity. Total 16 connected R-1 Parcels sold together; 51,833. sq. feet. Excellent value ! R-1 lots front Riverside Dr. paved street with utilities. Paved road acess, lot size approximate 4,365 Sq. Ft.
House across the street and utilities connected. 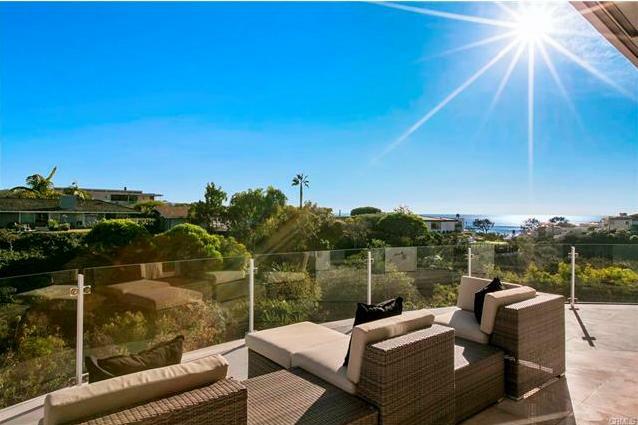 Dramatic, sophisticated and bright, this beautifully remodeled Shore Cliffs residence is truly without equal. Drenched in natural light, the main floor's open concept plan blends seamlessly with the outdoors through large glass pocket doors, inviting year round alfresco living and sensational ocean and canyon views. Chic modern interiors complement the clean-lined architecture, accentuating the home's relevant and appealing style. The well-designed plan spans three spacious levels and includes 4 generously-sized bedroom suites, designer kitchen, large dining room, home office and a lower level media room and bar. Additional highlights include an elevator, climate-controlled wine room, audio/visual system, imported limestone, outdoor grilling station, 3-car finished garage and numerous decks and terraces from which to entertain and enjoy the serene views. Shore Cliffs offers stone's throw proximity to a private access beach and the Corona Del Mar Village offering World-class dining and shopping. Located in the beautiful gated LA Rivera community. Entry door opens to the inviting foyer. New paint throughout the house. Spacious formal living room. Large family room and dining area adjacent to kitchen with view of private patio. Three (3) bedrooms with two and a half (2.5) bathrooms. All bedrooms are upstairs. Large master bedroom with walk-in closet. Master bathroom has separate shower and tub. Individual laundry room. Two (2) attached car garage with direct access to the house. Central A/C and heating. The gated community provides community pool, spa, and playground. Price include refrigerator, dryer, and washer. Property to be sold in its as is condition. Beautiful Ranch style home with 3 bedrooms, 2 bathrooms in north Arcadia. Front facing South. New paint throughout the house. Living room with fireplace and view of the professional designed landscaping with drought tolerant plants. Formal dining room. Kitchen with granite counter tops. Bathrooms have been updated and remodeled. Copper plumbing throughout. Original hardwood flooring has been refinished. Double Pane energy efficient windows and R-30 attic insulation. Central AC/Heating. Special roofing with long life expectancy. Two detached car garage. Security gated. Large back yard perfect for entertaining. Space for extension. Award Winning Highland Oaks and Foothills Middle School. SOLD! 2710 Lambert Dr., Pasadena 91107 The charming home located in Northeast Pasadena in a convenient location, close to parks, schools, and shops - Fantastic move in condition! Featuring 3 bedrooms (master bedroom and two bedrooms) and 2 full bathrooms, living space 1,436 sq ft and lot size 7,256 sq ft. Crown molding, central air, central heat, updated bathrooms with custom counter tops. The gourmet kitchen is completely remodeled with Quartz breakfast counter tops and designer bar lighting. Living room with fireplace and large picture windows with view of mountains. Hardwood floor throughout the house. Updated electrical and plumbing in 2011. Move in condition, one block south of Orange Grove at Sierra Madre Blvd. SOLD! Offering price: $587,000 1587 Calle Andres, Duarte Built in 2008 Charming PUD (planned unit development) located in a quiet community with beautifully landscaped grounds and fountain. Featuring 3 bedrooms and 2.5 bathrooms Living space 1950 Sq Ft. Entry with foyer and granite floor. Living room with fireplace. Kitchen with breakfast counter tops. Dining area with sliding door open to patio. Bonus family room upstairs. Master suite with walk in close and additional closet. 2nd bedroom with walk-in closet. Private patio. 2 attached car garage with direct access to the unit. Great Location in Gardena, Property Zoned R-3; rent or live in front house as you build in rear, later tear down front add two units maybe possible. Rarely seen Gar-3 Lot. Some work in process. Front iron gate, wood and block wall side and rear yards. Easy access to 110 freeway, shopping, restaurants, and schools. This cottage has charm and character with 3 mature fruit trees. Elegant quality built town home situated in Madison Heights, walking distance to library, and parks. Convenient location, close to old town Pasadena. Living space measures 1,674 total sq ft 3 bedrooms (1 bedroom downstairs) and 2 full bathrooms. Hardwood floor throughout living room and dining area. Living room with fireplace and view of the park. Gourmet kitchen with granite counter top and Bosch stainless appliances. 275 sq ft large storage/laundry room next to the over sized 2 attached car garage. SOLD IN ONE WEEK! $2,760,000.00 5337 Mountain Meadow Lane, La Canada Flintridge Spectacular 5 Bedrooms and 4 Bathrooms Estate for sale. Huge lot size: 23,625 sq ft. Gorgeous Mediterranean Villa with city and mountain views to Catalina Island. Brazilian hardwood flooring, built-in speakers through out the home, vaulted ceilings, open gourmet kitchen, huge family room, formal living and dining rooms, 3 fireplaces (living room, family room, & master bedroom) and one bedroom suite on the first floor. The viewing deck has an outdoor kitchen, BBQ, dining & sitting area with outdoor TV. Sparkling pool and spa. 3 attached car garage Fountain in front yard and many more! Arcadia School District beautiful 3 bedrooms 3 bathrooms town home located on a tree line street in a quiet neighborhood. Formal living room with high ceiling and fireplace. Sliding doors open to private front yard Formal dining room with chandelier. Hardwood floor throughout the living room and dining room Large kitchen with breakfast nook. Brand-new luxury home with night-time view of city lights located in the private, gated community of Lone Hill. 4 bedrooms & 3.5 bathrooms with library Spacious living room with hardwood floor, fireplace and French doors which lead to the front porch. Sliding glass door of the family room open up to backyard with spectacular view of the city. Gourmet kitchen has a central island, granite counters, maple cabinetry, Energy Star appliances. Master bathroom has dual sinks & separate showers for him & her; large walk-in closet. Beautiful wrought-iron stairway leads to the 2nd floor. Spacious 3-car garage with remote control. Central air & heating. Front courtyard and side/backyard professionally landscaped. 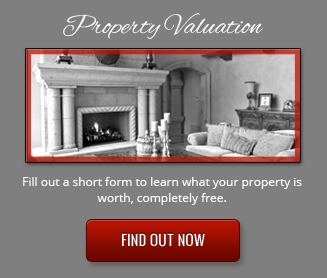 This is a great income property for investors. The location is conveniently located close to the 10 Freeway. There are two units side by side, each with one bed and one bath. The living area is approximately 1,380 sq. ft. and the lot size is approximately 7,280 sq. ft.
Estate style luxury home set behind private entry gates! The living space is approximately 3,131 square feet including 3 bedrooms and 3.5 baths! With a bonus room, a parlor, a family room, and two dining rooms, this home is sure to bring comfort to you and your family. In addition, this home includes a reading alcove perfect for relaxing with your favorite novel. Gourmet kitchen with granite counter top and maple cabinet. The family room is spacious with a sliding door and overlooking view of the backyard. Custom wrought iron staircase. The master bedroom is large with a walk-in closet and master bathroom with a marble jacuzzi, separate shower, double sinks, and much more. Absolutely stunning condo! Grand lobby with concierge service. Fully furnished 2 bedroom luxury model like condominium with wall of glass with $150K in upgrades. Beautiful panoramic ocean, city, coastline, and Queen Mary views. This is one of the best condos in the MOST desired building on Seaside Way. Great balcony with outdoor speakers with a great view. Surround sound inside and outside. TVs in the living room, bathroom, and all bedrooms. Full view of the ocean from every room. Gourmet kitchen with granite counter top, custom glass tiled backsplash, stainless steel gas stove, dishwasher, microwave oven, refrigerator, washer, dryer, and lots of cabinets. Upgraded carpet throughout the unit. West Ocean is a full service building complete with guard, gym, pool, spa, sauna, yoga studio, theater, entertaining party room, BBQ area, outdoor fireplace, billiards room, and an on-site manager! This is absolutely a MUST SEE. Walking distance to restaurants and shops. Beautiful Condominium for sale, located across from UCLA campus in the heart of Westwood. Great location: walking distance to Westwood Village, medical center, and shops. Double glass door security gated building entrance. Kitchen with granite counter top, stainless steel appliances, including stainless steel refrigerator, microwave, dishwasher, and oven. One full bathroom w/separate vanity area. Open, bright, and cheerful floor plan with a full size private balcony. Carpeting throughout and large closet with mirrored doors. The complex features a resort-like outdoor swimming pool with a BBQ area and tropical style patio chairs/tables, a billiards/entertainment lounge with flat screen TV and cozy sofas, overlooking the indoor basketball court. A gym with weight lifting equipment and treadmills. Two (2) parking spaces in the garage on the upper level. R-1 zone, currently there are 3 single family homes. 3 bedrooms 2.5 bathrooms and 2 units are Great for income investment or owner builder to build their dream home. Sold : 3702 Merced, Baldwin Park. 17 unites condominium style apartment for sale. Total of four (4) buildings. Fully leased. Good tenants. Great location. Great for developer or builder! 10 PUD with tentative map approval. Excellent location: property is located one block south of Huntington Drive and west of Rosemead Boulevard. Absolutely beautiful two story luxurious Craftsman style estate located in a private neighborhood. This home has 5 bed rooms (1 bedroom been converted to den) and 4.5 bathrooms and sits on a large lot 18,368 sq. ft. with 4,430 sq. ft. of living space. Entering the double doors, grand high ceiling foyer. Formal living room. Dining room with chandelier. Gourmet kitchen with granite counter top and an oversized center island and breakfast counter top can sit up to 5 people. This home has a large master suite with large walk in closet and a balcony overlooking the backyard, koi pond and beautiful lush lawn. Master bathroom with a jacuzzi, double sinks, dresser table and a large separate shower. The backyard is professionally landscaped with a lawn, a small trail, trail light posts, professionally designed koi fish pond with lotus and bridge. Four attached car garage and ample space for RV parking. Offering Price: 885,000.00 Sold in 2 weeks! Charming home strategically located in the quiet neighborhood located in the center of Alhambra City! Conveniently located with walking distance to shops, restaurants, banks, bus stops, and supermarkets. Property has a great floor plan with 2 bedrooms and 1 3/4 bathrooms. Master bedroom and living room has view of the private center courtyard. Living room with fireplace and large sliding door. This property also has a private front patio with blooming flowers and gate. The unit is located in a secluded senior community with club house , a swimming pool and spa. 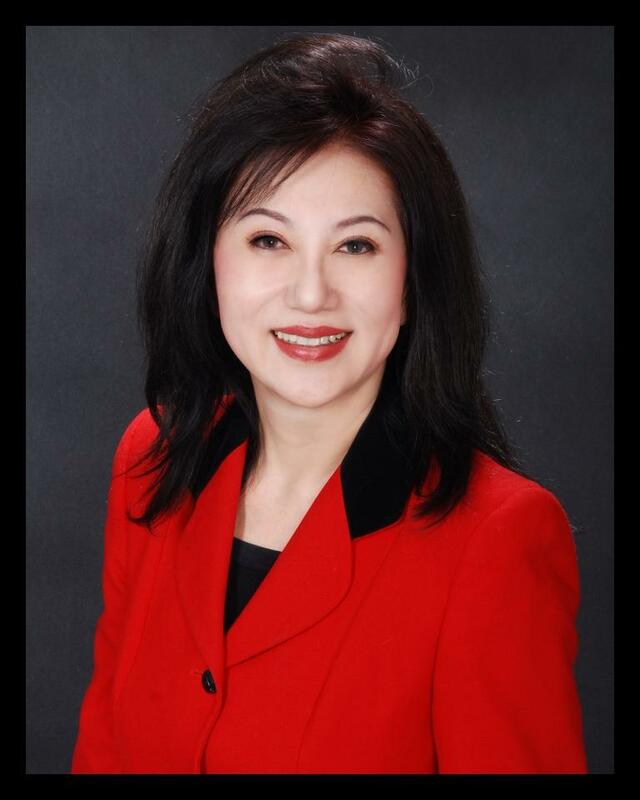 Sold: 5816 Oak Ave., Temple City - Mrs. Clean is here. Ready to move in. Perfect PUD in a the wonderful neighborhood of Temple City! Charming PUD in Temple City with 3 bedrooms and 3 bathrooms (one full bathroom downstairs). 1,730 sq. ft. of living space with a formal living room featuring built in shelves and cabinets and a fireplace. Gourmet kitchen with granite counter tops includes a dishwasher and a cozy breakfast nook. Master bedroom with a walk in closet and a master bathroom includes a jacuzzi, double sinks, and separate shower. Bonus room upstairs - perfect for the home office. Crown moldings and wood shutters throughout the home with central air and heat. Maple wood railings stairway. Private backyard, attached 2 car garage and 1 guest parking. Offering Price; $688,000 SOLD in 3 days ! Beautiful resort style stunning estate mansion located on a park/resort-like grounds, lot size 41,820 sq ft , approximately 1 acre flat lot in the prestigious Highlands of North Arcadia with Award-winning schools. Total living space: approximately 9,928 sq ft. South facing. 6 large bedroom suites and 9 bathroms, home theatre, game rooms, swimming pool/spa/fountain/tennis court, gazebo, barbeque station, grassy lawn, and many more. Leased! 1104 1st Ave. Arcadia for Lease Arcadia school. built in 1985. Living space: 2,500 sq ft one story. Circular driveway. Security gated. 4 bedrooms 3 bathrooms. Swimming pool and beautiful garden with lots of fruit trees. Large lot: 27,000 sq ft Walking distance to 1st Avenue school and Arcadia High School. 323 Warren way, Arcadia for Lease Living space: 2,800 sq ft 4 bedrooms 3 bathroom, large living room with wall of glass overlooking swimming pool and backyard. Walking distance to Arcadia Longely way school. 20 E Las Flores. Large lot 16,800 sq ft. 6 bedrooms 6.5 bathrooms. Living space over 5300 sq ft. Two story Mediterranena Home. Private security gate. Excellent floor plan. High ceiling entry. Living room with fireplace. Formal dining room with chandelier and recessed lighting. Kitchen with center island. 1 bedroom suite downstairs. Library with built in book shelves. Wine room. Guest house with full kitchen. Large pleasant backyard with lots of fruit trees and koi pond and many more. Brand New private gated Mediterranean Home. Large lot 16,000 sq ft. 6 bedrooms 6.5 bathrooms. 3 car garage. Formal living room with french doors. Formal dining room with chandelier. Gourmet kitchen with lots of cabinetry, center island and a wok kitchen. Fully equipped home theater. Large walk in wine cellar. Allure Master suite with private balcony. Arcadia City, Arcadia school district Elegant mansion greets you with a circular driveway, surrounded by a lushes professionally landscaped courtyard. Grand foyer with double door entry welcomes you inside, where beauty and grandeur naturally embrace the resort like home. 7 bedrooms, 7.5 bathroom, (3 bedrooms downstairs). Built in 2001. living sq ft is 6,218 Lot size is 19,062 sq ft. security gated. Marble floor and hardwood floor throughout the house. Large family room with surround sound system, wet bar, fireplace, french doors open to backyard. Large master suite with retreat, walk-in closet. Master bathroom with double sinks, jacuzzi,steam bath, dressing area, individual toilet/bidet room. Gourmet kitchen with center island, granite counter top, walk in pantry. Separate wok kitchen. Swimming pool, bar-b-que area, lush lawn, 3 attached car garage and many more. Duarte City, Ca 17 units Brand New Apartment Project for sale. Excellent and convenient location. 5 minutes driving distance from Wal Mart and Home Depot. 14 units 2 bedrooms 2.5 bathrooms and 3 units 1 bedroom 1.5 bathroom. Located in the high demand rental area. Great for investors! San Gabriel Valley: Pasadena, San Marino, South Pasadena, Arcadia, Monrovia, Bradbury, Duarte, Temple City, Rosemead, Alhambra, El Monte, Monterey Park. Orange County: Newport Coast, Newport Beach, and Corona Del Mar. Los Angeles County: Manhattan Beach, Redondo Beach, Hermosa Beach, Palos Verdes Estates, Rancho Palos Verdes.... etc. Luxury Home, Residential Home, New Home, Land Development, Land Projects Senior condominiums, and Commercial property.